Beer is many things and delicious is just one along a very long list. Cooking with beer is one side of the BC Craft Beer scene that is starting to explode. 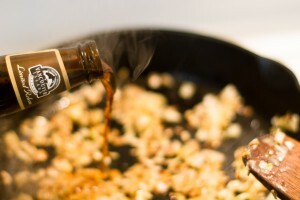 While I do not fancy myself the next Gordon Ramsay it is a lot of fun to cook with beer. I have always been a fan of a traditional beer can chicken but there is always room for improvement; even when it comes to a something this perfect. 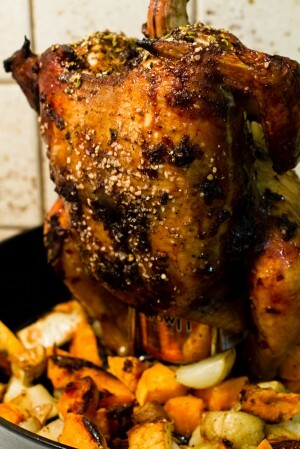 For this first cooking article I made a Vancouver Island Brewery, Hermannator Ice Bock Glazed Beer Can Chicken. 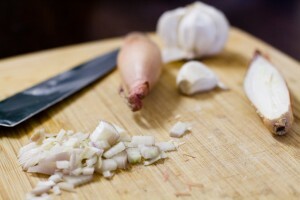 Starting I took two large shallots and two large garlic cloves and minced them finely. 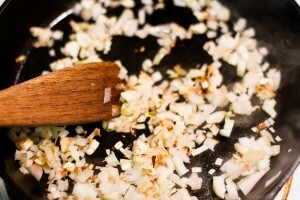 Frying in a tablespoon of olive oil the garlic and onion were browned. From here add a few tablespoons of the Herminnator and continue to fry. 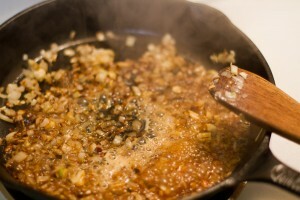 The beer helps to caramelize the onions and bring out a toasted flavour. let the beer reduce to make the carmelization happen. 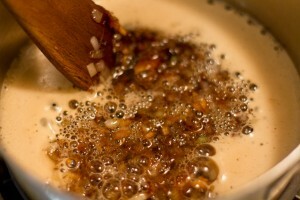 As the beer begins to evaporate and the onions soften transfer the onion mixture into a pot where the rest of the Hermannator bottle can be brought to a slow boil. Stirring occasionally let the beer reduce while the onions soften and the whole mixture begins to thicken.Stir more frequently as the mixture thickens to prevent burning. 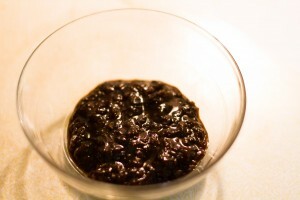 Once fully reduced this will be a paste that amounts to about a 1/4 cup of dark, nearly black beer reduction. Try not to eat it all at this point as it is quite delicious. Take a whole, dry chicken and separate the skin from the breasts at the neck and put a tablespoon of the Hermannator paste on each breast and spread it out beneath the skin. Take the rest of the paste and smear it around all over the chicken being sure to coat every nook and cranny of the bird. Prepare any vegetables that you may want to go with the chicken. 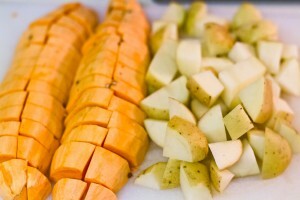 Here I have diced white potato and yams into 1/2″ cubes to place in the pan with the chicken. Prop up the bird on a 1/2 full can of beer. I prefer to use something that has a bit of sugar content but nothing too dark as it is mostly water from the beer that is steaming the bird, not the beer’s flavour itself. For this recipe I used a Bowen Island Brewing Co. Honey Brown Lager. Once propped up and the vegetables are added drizzle olive oil over the entire bird and vegetables and season as you wish. 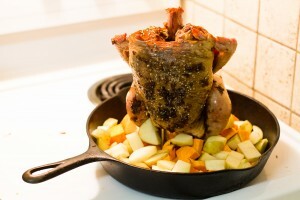 For the purpose of this bird I used a dash of cayenne pepper, paprika, fennel seeds, black pepper and coarse salt. Cooking times will depend on the size of the bird but at 375 degrees this particular bird took about 1hr. You want the centre of the breast to reach a temperature of 160 degrees. 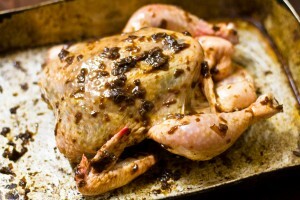 You may also need to cover the top of the bird with tin foil to prevent over browning. Holy hell that looks amazing! Welcome to the cooking with beer ranks! keep on sharing. Love the inspiration! I have cookies coming soon I hope. I have also been looking to cook something with a saison.